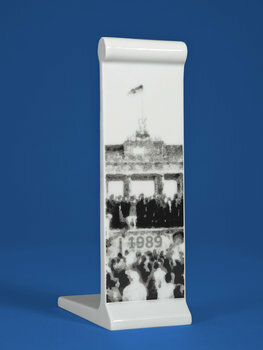 BERLIN - METROPOLIS OF SPORT, special design, ltd.
Berlin Metropolis of sports – the iconic Berlin Wall Miniature of Berlin Marathon 2013. 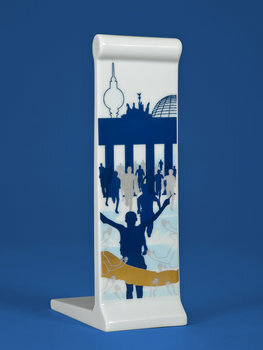 The Run for Freedom through Brandenburg Gate, porcelain with genuine gold polish. Limited edition.